‘Blyton-esque and Ransomian’ is how Canal Camping was described by a recent guest who added to its growing list of five-star reviews. If that Five-Go-For-A-Paddle, Swallows-and-Amazons feel is what you’re after – you couldn’t do much better. 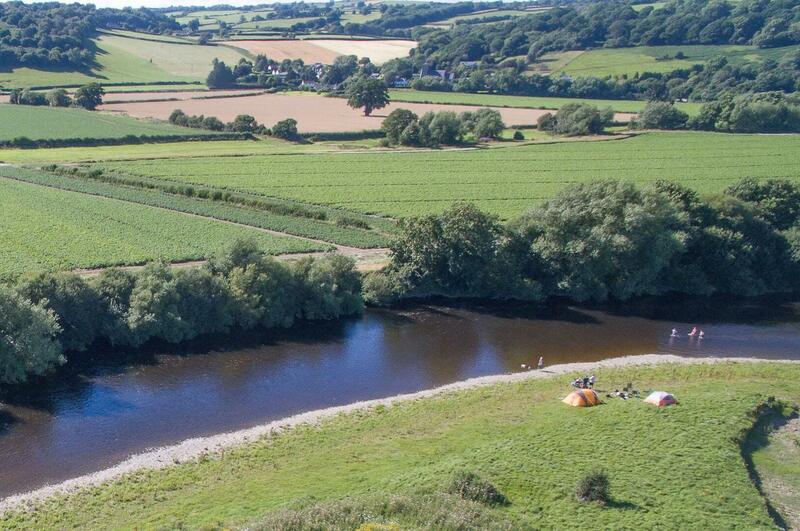 The site offers tents-only camping in a field (bring your own or hire one of their bell tents) with a place to launch canoes and kayaks. You can paddle along quiet waterways looking out for wildlife before hitting the busier parts of the Broads. 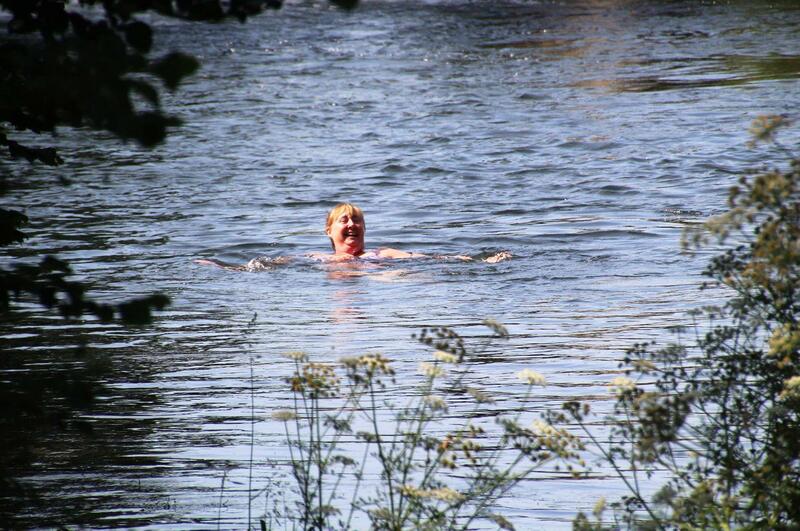 And when you return to your canal-side pitch you can enjoy a hot shower and the crackle of a campfire. Pure bliss. Want to canoe? Then, get yourself over to Racquety Farm which has family ties to a canoe-hire company named for that very question. 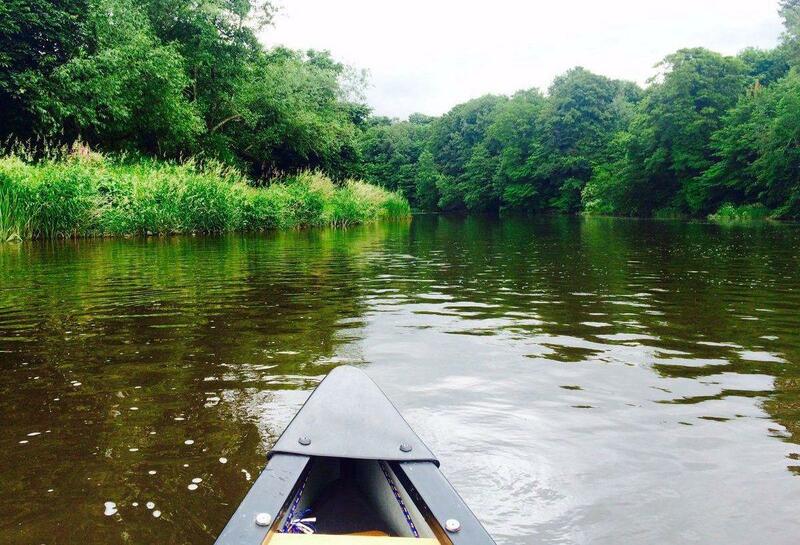 Situated on the fringes of literary town, Hay-on-Wye, you can hire a canoe to take to the river – or bring your own and take advantage of the campsite’s private launching point. Tents are pitched where you please within the farm’s organic orchard and there’s glamping too if that’s what floats your boat. Choose from one of five simply furnished geo-domes and a shepherd’s hut. 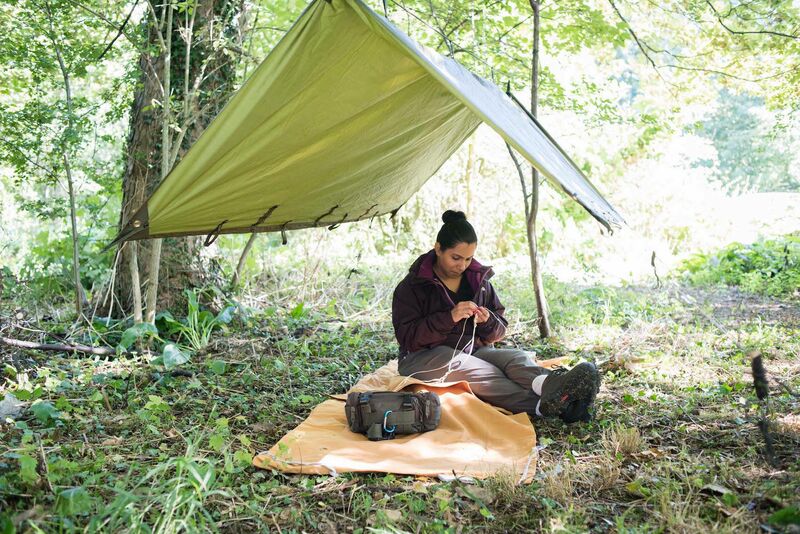 If you live in London and want a quick camping-and-kayaking getaway – Lee Valley Almost Wild Campsite might be for you. It’s a riverside campsite that’s keeping it simple with composting loos and a cold water tap, just a 30-minute train ride from Liverpool Street. Campfires are allowed, caravans are not. Its 17 pitches are for tents and hammocks only. You can launch your canoe or fish from the banks and if the meandering River Lee is too tame for you – get yourself over to the Lee Valley White Water Centre. Wish there was a waterway at the bottom of your garden? 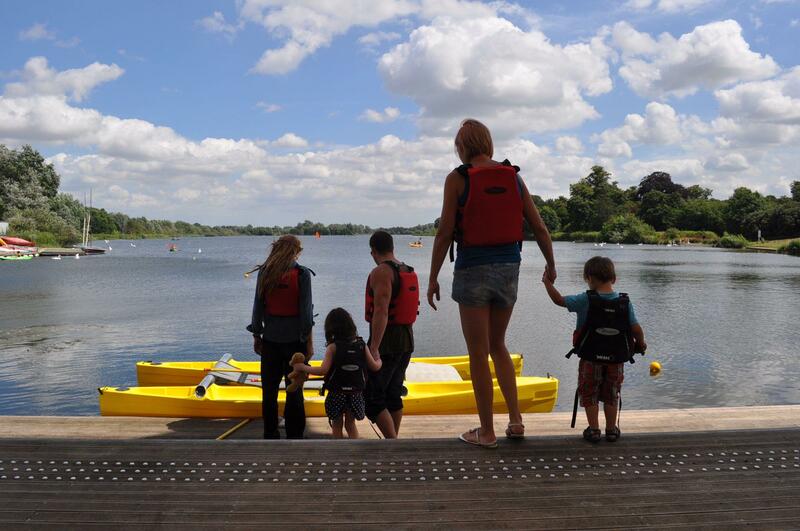 Book a holiday at Whitlingham Broad Campsite and there can be (for a week or a weekend at least). 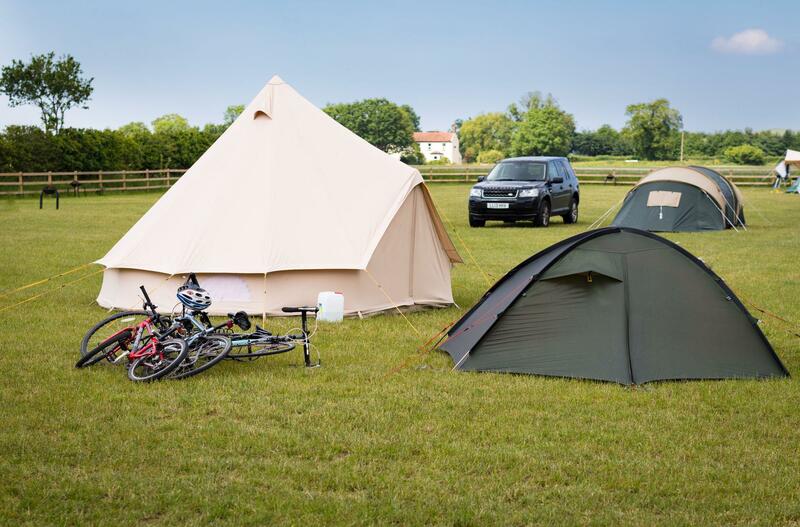 This campsite, within an 80-acre country park in The Broads, neighbours an outdoor activity centre where kayaks, canoes and paddleboards are for hire. The centre also runs taster sessions and courses in all manner of activities from windsurfing to climbing. The campsite has two fields, one car-free, a couple of bell tents and a pair of shepherd huts too. Despite the countryside-feel, it’s within hiking or biking distance of Norfolk. Forget selfies and get the Polaroid out if you’re going to Frome Meadow. Somehow, only a vintage camera seems appropriate in this charming classic campsite. 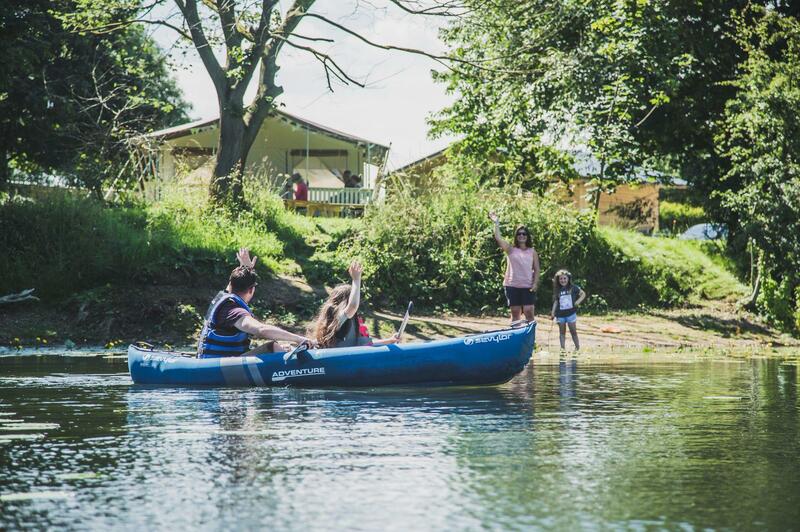 Popping up for just a month in the summer, its location on the River Frome is perfect for pond dipping, wild swimming and kayaking. The meadow is part of a dairy farm and occupied by cows until August comes around. Off grid, eco-friendly with composting loos and campfires, this tents-only idyll is just a 20-minute drive from Dorset’s glorious Jurassic Coast. You don’t have to go the Amazon to paddle to remote communities – head instead for the Highlands. 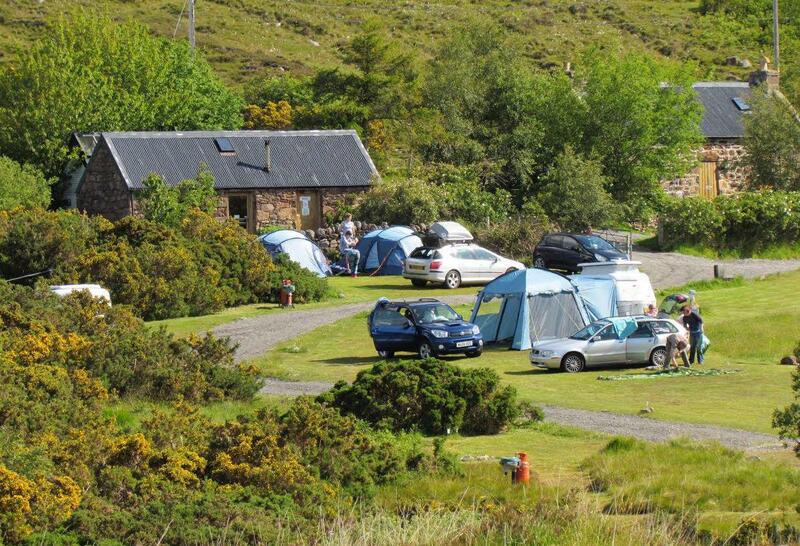 Stay at Badrallach campsite, eight miles from the nearest main road, and launch your kayak or canoe to paddle a further five to reach Scoraig. This little village is one of the most remote in Britain. There’s no road access so walking and water are the only options. This is Little Loch Broom – there are seals on the shores and mountains reflected on its surface. The campsite at Badrallach has 20 grass pitches, immaculate facilities, a communal kitchen and incredible views. For lakeside camping in the Lake District it’s hard to find a better campsite than the one at Side Farm. 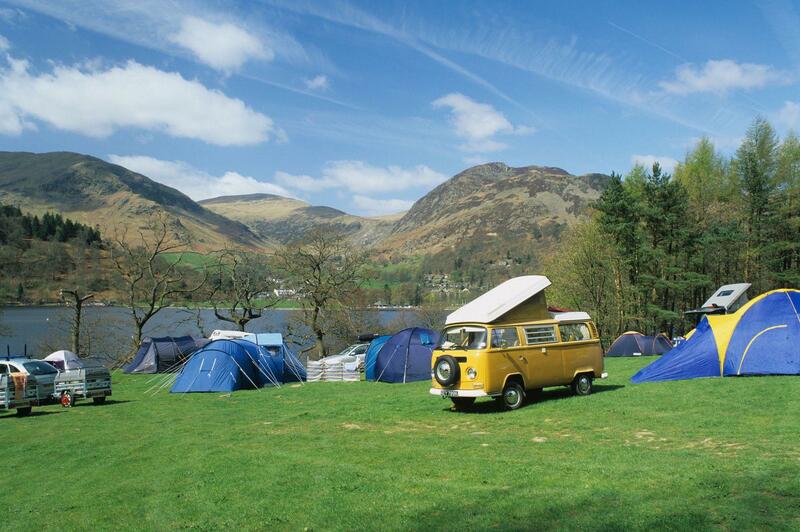 On the shores of Ullswater, this place has plenty of pitches for tents, campervans and small motorhomes. Dogs are allowed but campfires are not – but it’s a small price to pay for the location. Facilities include a shower block, loos, washing machines, dryers and an on-site tea room to refuel after a paddle on the Lake District’s second largest lake or a walk on the fells. Pitch up at Digeddi and you can launch straight in to the water from its riverside beach. With a bow-top gypsy wagon and a French-style roulotte, there’s glamping here too and all of it comes with views of Wye Valley countryside. There are canoes for hire and they’ll pick you up after a paddle downstream. It’s also a great spot for walking with Offa’s Dyke footpath nearby providing a handy route to Hay-on-Wye two miles up the track. 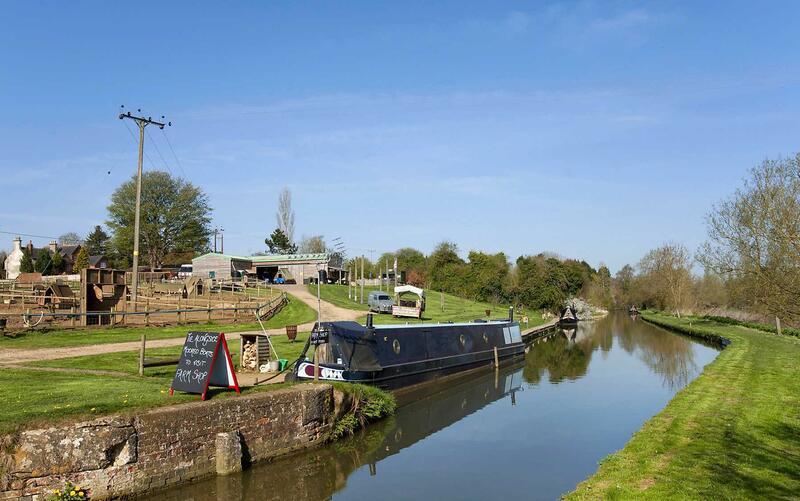 This adults-only, canal-side campsite near Banbury puts you at the heart of an Oxfordshire smallholding. Unsurprisingly, given the name of the place, the pigs are the stars of the show at feeding time for both animals and campers. There’s a farm shop on site and home-reared bacon butties at breakfast as well as a horse box bar from where you can watch narrowboats chugging by. You can launch kayaks and canoes straight in to Loch Lomond, Britain’s largest stretch of freshwater from Cashel Camping. 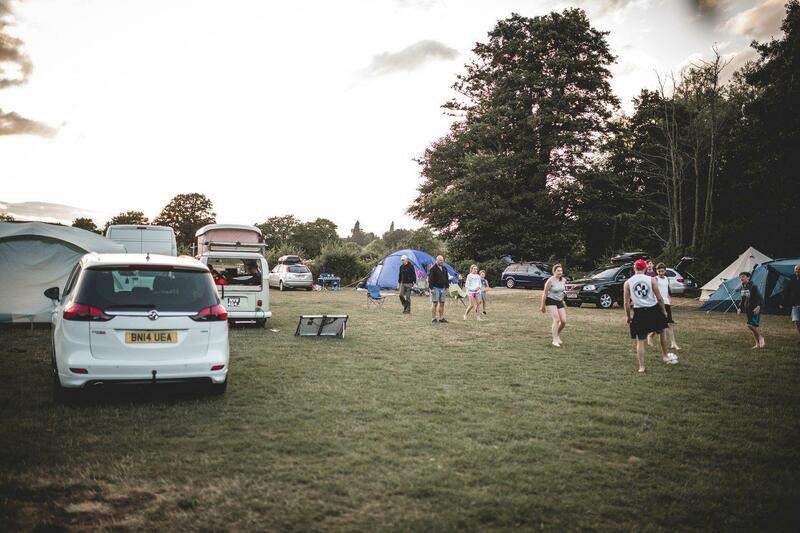 It’s a big site where all are welcome, with campervans, motorhomes and caravans alongside traditional tent campers in more than 160 pitches. But, fear not, the views of mountains and Munros are epic – big enough to share without feeling crowded. Facilities are ample and there’s a shop and a children’s play area too. With a name like Ferrygate Lane and a location in the heart of The Broads National Park, it’s no surprise that water is important at this tents-only campsite. Martham boat dyke is next to the campsite and you can canoe or kayak from this narrow channel straight in to Hickling Broad. It’s also only a mile walk to the village of Martham and under four to the beach at Winterton. Campfires in off-ground fire pits are allowed. 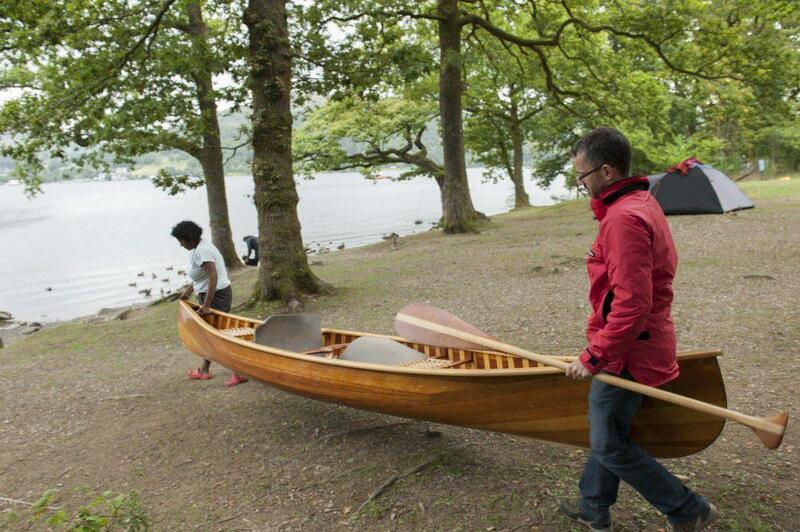 Camping and kayaking are made easy at Kingfisher Lakes in Yorkshire. You don’t need a tent as it’s glamping only and you can leave kayaks behind too as they’re available to hire. The site’s choice of accommodation includes yurts, safari tents and a lakeside log cabin with a hot tub. Each is furnished and has a log-burning stove and firepit can be hired for campfires too. Toilets and showers are shared between tents – but the log cabin has its own en suite. You can paddle from pitch to pub if you choose a stay at Rushbanks Farm. This charming campfire-friendly site in the Dedham Vale is the only one on the banks of the River Stour. It’s been run by the same family for three generations so they know how to keep campers happy. A pair of riverside bell tents are available for glampers while campers share a grassy meadow with a pitch-where-you-like policy. Bring your own canoes and kayaks and launch straight in to the river or hire a canoe on site. 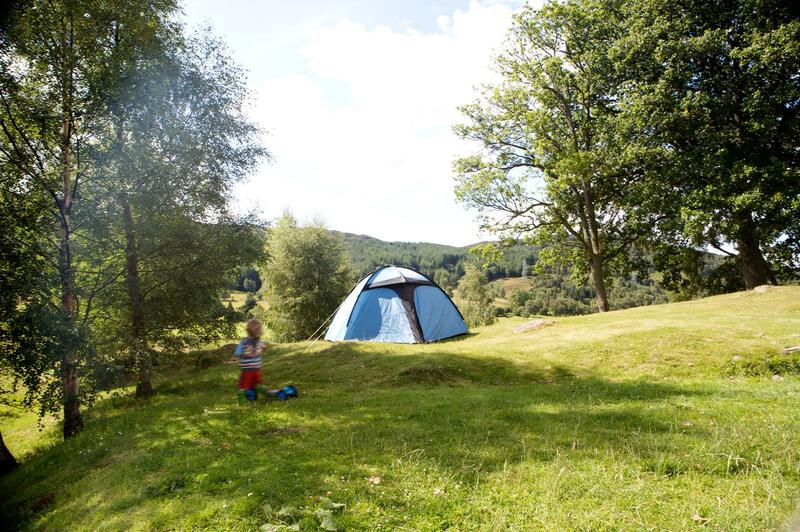 Camping on the shores of Lake Windermere is offered at Low Wray. This Lake District gem occupies a spot on the quieter, western shore. The lakeside pitches are, of course, in high demand so there’s an extra cost – but everyone is welcome to launch kayaks and canoes directly from site. 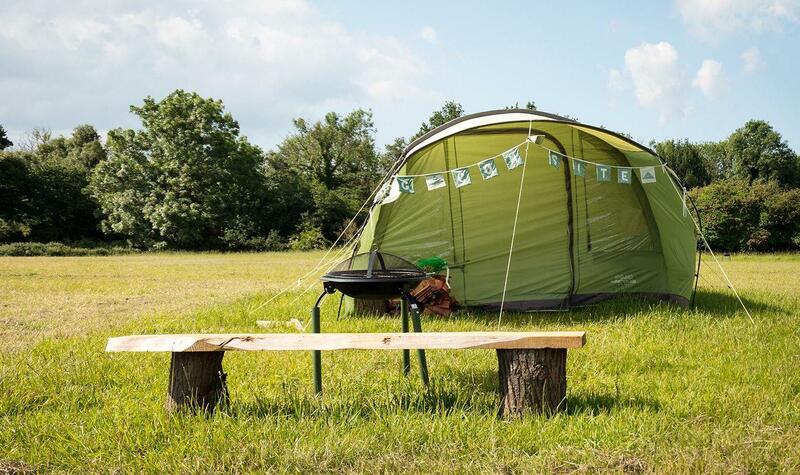 With 144 pitches for campers as well as glamping pods and safari tents, it’s not a tiny site but there are plentiful facilities including a great shop and a thrice-weekly pizza tent. 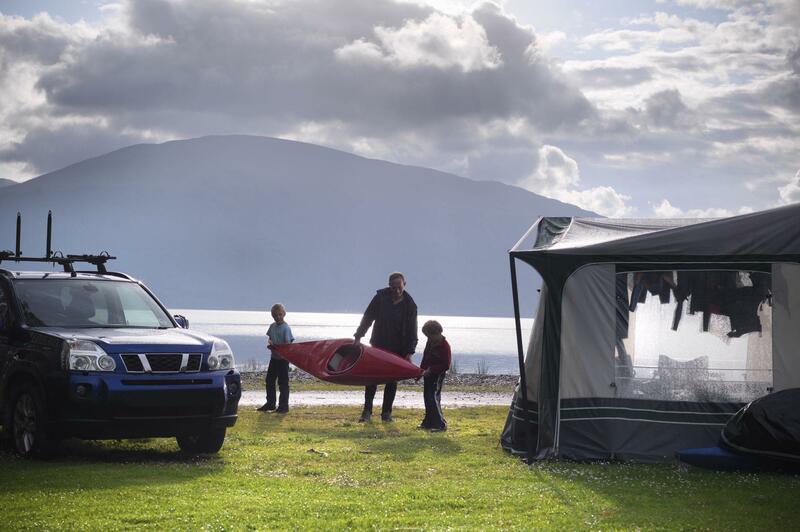 Nab a loch-side camping pitch at Ardgualich Farm to enjoy a royally incredible vista. Queen Victoria is said to have loved Loch Tummel – and there’s a nearby beauty spot to make sure modern visitors don’t miss The Queen’s View. Pitch your tent at Ardgualich Farm and you can wake up to something similar – with a place to launch kayaks and canoes too. Behind you are basic facilities and places for caravans and static homes but it’s views not loos that make this a top spot. 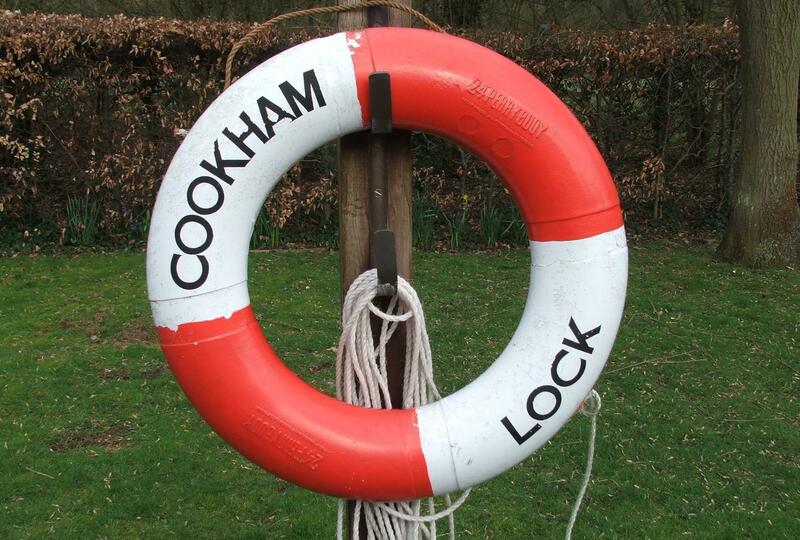 From Scottish lochs to southern locks – a special mention goes to the Environment Agency Campsites on the Thames; Pinkhill Lock, Cookham Lock and Rushy Lock. These three back-to-basics campsites can only be reached by foot or by boat – so if you’re paddling along the Thames they make for perfect places to stay.